I am completely and utterly a digital girl, my phone is glued to my hand and I have been known to be on my iPad and iPhone at the same time pretty much looking at the same thing. I am a self-confessed phone addict. My life is on my phone and iPad, from meal planning to mine and Thom's appointments and reminders and not to mention all my social media and email, so planning this wedding was not going to be any different. When it comes to apps I might have a few, my friends pick up my phone and the first thing they say is "How many bloody apps do you have on your phone?". They are all organised though in nice neat folders and of course I use them all.........kind of! Ok, ok you probably can add app downloading addiction to the phone addition. 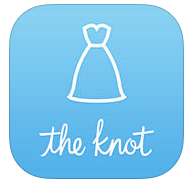 So of course getting engaged meant I could start downloading Wedding Apps. I have actually just squealed remembering how excited I was by this: maybe I should step away from the phone and computer and get out more. 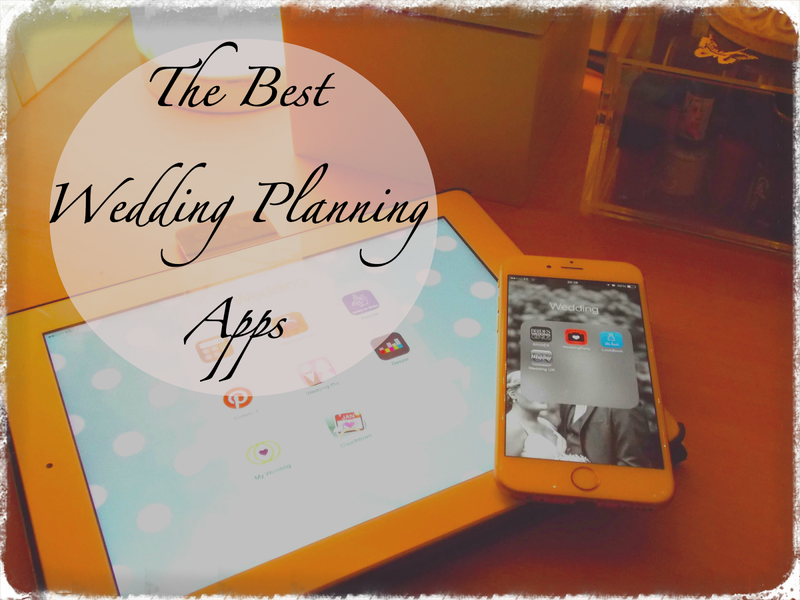 However before I do that I have complied a list of my favourite wedding planning apps. I am by far not an expert as I am still near enough the beginning of my planning process but I have probably downloaded every wedding app going and worked my way through some terrible ones and found the key ones I use pretty much on a daily basis. Oh my god, this app saved my sanity and has to be top of the list as it is amazing. 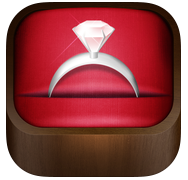 Wedding Planner for iPad does everything you would want in a wedding planning app and it is so easy to use. When you first log in you set your wedding date and put in your names and this gives you a nice little countdown at the top of the screen. This is followed by a note section that you click into and... well, you leave notes ;-). They show as little post-it notes so they are simple to organise, I use this for random ideas that pop into my head or lists of items I need to remember for instance who is getting button holes. Then you have a button for Schedule - I didn't really know what this was for but have came to realise (I think) this is where you put the plan of the day; stuff like the time vendors are going to show up, times you need to do hair and make up, then times of the actual wedding. The great thing about this app is that you can email any list or schedule to yourself or people helping you with the wedding so they know what is happening and, fingers crossed, means less stress on the big day. I love how everything is on one screen as well so you know where to click and quickly. The To-Do list keeps me organised with paying final amounts and contacting vendors. The Budget Planner is where I have listed EVERYTHING we need for the wedding from venue to bridesmaid gifts and then the price that I think is reasonable to pay and what we can afford, and then that leads to Vendors which is for the people we have actually booked and how much we have paid them and is left to pay. Guest list is also a god send, you can name everyone going to the wedding and who's side they are on or if they are adults or children and if they are full day or just evening guests. This section also helps you track RSVPs. The guest list then feeds into my favourite part, the Seating Plan. My wedding is 16 months away and I am already sorting the seating plan. Wedding Planner for iPad just makes it so simple to add names and move people about, you can also lay out the room just like your venue. The hard part is actually deciding where to put people without upsetting someone. There are lots of extras on top of this for example a Thank you note section to keep track of gifts and thank you's for after the wedding and like I mentioned before all these sections can be emailed out to people if needed. The most important part of this whole app is there are no adverts, they are not trying to sell me anything and nothing is popping up as I try and use it, but this might have something to do with the price. This app is £6.99!!! It is the most expensive app I have ever bought, it was a big decision to risk downloading it and this coming from a girl that refuses to pay 79p for an app. 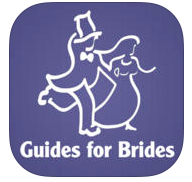 There are free versions of this app but they are nowhere near as good, I recommend this app to anyone that wants to digitally keep track of their wedding. The only downside is that it is for the iPad only and there is not an iPhone version. This might seem strange to put this as a wedding app as Pinterest does so much more however it is the most amazing place for ideas. You can search for pretty much anything you can think of or just browse the wedding section and find beautiful ideas and tips that you can take into your wedding. You can search for your wedding colour scheme, cakes, invitations, decorations and so much more. I love how specific you can be for example mint and coral wedding invitations will show hundreds of results with pictures of that specific search. 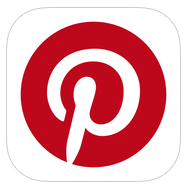 The great thing about Pinterest is that the photos then take you to websites that you can use to source certain items or find new blogs that are great to follow. I am trying to do a lot of DIYs for the wedding and this is perfect for giving me ideas and then I tweak them for what I need. I have lost many hours of my life to Pinterest but its was worth every second. 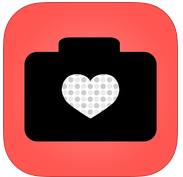 This app is a similar but free version of the Wedding Planner for iPad, it doesn't have as many features but it still allows you to have a to-do list and a budget tracker. What I like about this app is that it has a built in suppliers list, in the settings you put in your post code and when you click on My Suppliers you can go through lists of local vendors from all kinds of different categories. For example if you select Florists it shows you a list of florists near you and when you click into each one it gives you their contact details and websites. This is the main reason I use this app. The To-Do list has good and bad points, it comes pre-populated with all the aspects of a wedding you would need to organise and the dates you should do them. This was perfect to read over when you first start planning as it helps with parts you might of missed off the list and it is very detailed however it does confuse things a little as some things wont be relevant to you and you have to delete them and also the time frame starts at 12 months but a lot of people start planning before this. I downloaded this app to look into having a wedding website where people could RSVP and see more details about the wedding. 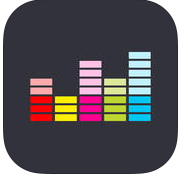 First impressions are that I really like it, the design is great and colourful and it doesn't look cheap even though it is free. You can upload photos of you and your fiance and put all the basic info about where the wedding is and when, you can then add guests so they can log in and see everything you are putting on. I would describe this as a Facebook/Instagram for your wedding. Once you have added your guests you can create a message group such as one for bridesmaids, one for groomsmen and even vendors that you have booked can be added. There is then a section for events such as hen parties (bridal showers), stag-do's, rehearsal dinners or engagement parties, this allows your guest to keep up to date and plan around events coming up. Gift lists and accommodation are also useful parts to this app however this is an American app so you can't search for accommodation near you if you do not live in America. The planning section of this app gives you blog style articles that are definitely worth a read for tips and ideas. This app does rely on people having smart phones and you knowing everyones email or phone number which sometimes is hard. I love this app as it has a category for wedding dresses with 100s of pictures that you can scroll through to get an idea of what you like. You can then find the shop but only if you are in America as this doesn't work in the UK, but you could still show any dresses you like to a wedding shop and see if they have similar dresses. It also has categories for Engagement Rings, Accessories, Bridesmaid dresses, flower girl dresses even mother of the bride that you can browse through. It is a fun app that you may not have on your phone for the whole planning process but if you like looking at pretty things and need some inspiration this is great fun. Hope you enjoyed this review, what are your favourite wedding planning apps? I love to look at new ones I may not have discovered yet.